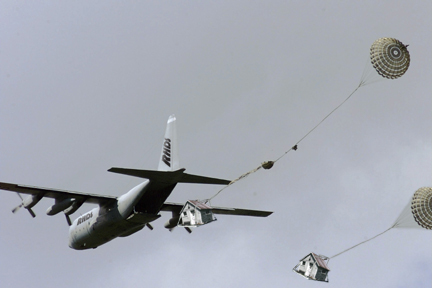 Our Suburban Air Drop system provides immediate, long-term shelter for vagrant populations. 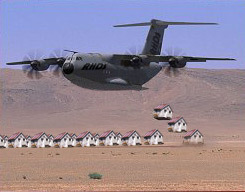 Using either high or low altitude drops, an entire community can be established within 6 hours without endangering relief workers. Each domicile is self-contained and includes living, cooking, sanitary and sleeping facilities. Once in place, resident populations can utilize built-in water, gas and electrical hook-ups to connect to optional water, sewage and power grids.